Wairarapa’s specialist in Freeview UHF TV aerial & satellite dish installations. 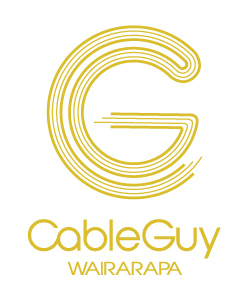 Welcome to Cable Guy Wairarapa Ltd, based in Masterton, but servicing the whole Wairarapa from Eketahuna to Lake Ferry. Whether you need a new Freeview UHF TV aerial or satellite dish installed, help with your TV reception problems, or want your new home wired for your TV & audio needs, we are the ones to call. We guarantee the best possible reception. 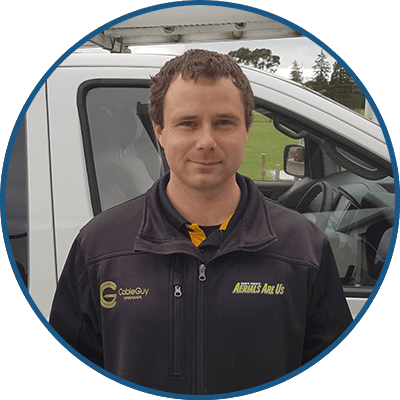 We offer a wide range of TV, home theatre, satellite and aerial, home network, and wiring services throughout the wider Wairarapa region. Some of our core services are listed below, but feel free to contact us regarding any job you might have to see if we can help. If you are building or renovating, you should run all cabling before the wall linings go on. We can run cables for TV, home theatre, phones and data. Sean Nyboer began work with Aerials Are Us owned by Rian & Shirley Slykerman in 2005. When the Slykermans retired at the end of March 2017, Sean bought the business off them, and rebranded Aerials Are Us to Cable Guy Wairarapa. Sean’s mum, Caroline, runs the office and administration side of the business.